This is an app where users refine their counting and grouping abilities. The fundamentals of computation – adding, subtracting, multiplying, and dividing – is the ability to group and break apart different quantities. Arithmaroo first practices the basics, instantly recognizing quantities of small groups of objects, 1-5 and 1-10. With four increasingly difficult levels, children start to create strategies for working with large quantities, 11-20 and 1-50. Adults notice young learners recognizing multiple groups of fives, how a group of four and a group of five is really one less than ten, and that a set of ten and four more makes 14. Young children can pick up on these patterns without ever being taught the traditional ways of computation. Thank you Arithmaroo for creating an app that practices such a foundational concept. 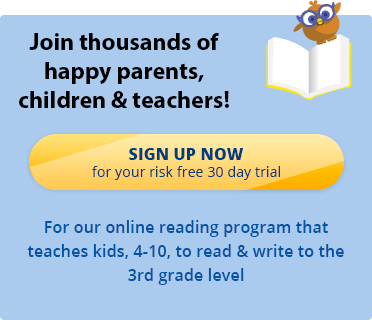 If you’re looking for fun kids reading games, sign up for a 30 day free trial of the Reading Kingdom, our online reading program and game. It’s a great way to keep your kid’s reading skills current over the summer.